Agent in a Box has made it simpler and much, much cheaper to get in front of property buyers and sell your home privately for the best price possible. We are proud to share what we know to help get you moving in the right direction; years and years of our marketing and online experience at your fingertips. If we can’t do it properly, you deserve your money back! 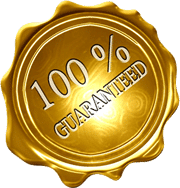 So here is our 100% money back guarantee to you………. #1 Your property will get 150 online ‘views’ in 30 days! If by day thirty (30) of your home or property being listed for sale as a ‘Premium’ or ‘Ultimate’ member of Agent in a Box, provided you have participated in at least TWO support/advice calls with an AIAB Professional; your property has not received at least 150 buyer ‘views’* on Australia’s biggest and most visited property website, realestate.com.au, we will refund 100% of your membership fee. *A ‘view’ takes place when a user (potential buyer) interacts with your property online, indicating an initial interest in your property. In other words, this is a potential buyer carrying out an initial online ‘inspection’ of your property. Right from the get-go, you know exactly how much you are investing and what you are investing in as a member of Agent in a Box. We do offer upgrades and specialised marketing features, however it is always your decision which option you choose and which additional features you deem necessary to attract buyers and ultimately sell your own home. The investment you make with Agent in a Box, to sell you own home, is a drop in the ocean compared to the commissions you will pay by using a traditional agent. Our marketing and support packages are based on a one off, fixed price and have no ongoing fees. What you pay for is what you get – until you sell or take the property off the market. Seasoned marketing, property, IT and social media specialists are behind Agent in a Box and will support you all the way through the sales and marketing process. We are only a phone call away. The system, support and advice provided by Agent in a Box come from proven, effective and ethical property marketing and sale practices. Our service and support is specialised and geared toward residential homes and properties. In other words we do one thing and do it very well, and that is – show you how to sell your own house or property without paying commission. The support and advice provided by Agent in a Box is not beholden to the payment of any self-interest driven commission. Sometimes you might not like what we have to say, but it will always be honest advice to help you sell your own home. Your house or property will be advertised on the most visited and popular property listing websites in Australia, including realestate.com.au and more, within 24 hours of your payment and final upload of property content (we will review your content and may suggest changes to help you get the best outcome). If we are unable to attend to your initial contact; any call, email or message from you will be returned within four business hours. Messages left after hours are returned next working day. ALL buyer interest and enquiry received by Agent in a Box regarding the intended sale of your home/property, is passed onto you within four business hours by way of SMS, email or direct phone contact. We’re with you, without the commission! We are human. And we know you are too. Agent in a Box is all about providing a real human touch and experience. To ensure you and all our members are being provided with an outstanding online marketing, sales, knowledge and support service, we are constantly monitoring, upgrading and tweaking our support systems and services. Our whole existence is about providing you with an opportunity to obtain the result you want – The sale of your own home.